Uttar Pradesh Subordinate Service Selection Commission (UPSSSC) has issued a recruitment notification to recruit Assembly Guard, Assembly Fire Guard, Wildlife Guard and Forest Guard posts. Candidates who are eligible and interested they can apply online mode by visiting official site of UPSSSC before last date. 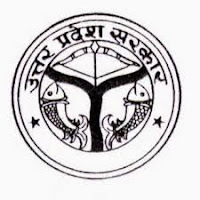 Candidates also check other details related to UPSSSC Forest Guard Recruitment Like how to apply, selection Process, Latest Govt Jobs in Uttar Pradesh, syllabus, Hindi, books, previous question papers, question paper pattern and more details are check in the official site. Educational Qualification: Applicants have to passed Inter/ 12th Class or its equivalent from recognized board.